WE'VE CHANGED HOW WE SCORE REVIEWS! IPVanish is a US-based VPN provider from Orlando, Florida. It is an established VPN service that is well known for providing a lightning-fast and reliable VPN experience. IPVanish VPN owns and controls almost the entire if its "Tier 1" server network. This is an advantage in terms of both performance and privacy - because it means that no third parties are involved in its infrastructure. Overall, we consider IPVanish a reliable, value for money VPN, that is good for unblocking a large amount of geo-restricted content. IPVanish has in excess of 1000 servers located in 60 countries around the world. 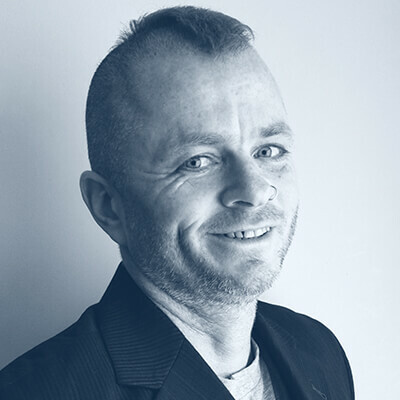 The company is extremely strong in Europe and the US - but also has servers in useful locations like Australia, Brazil, Japan, Asia, and South Africa. IPVanish does not have servers in Russia. If you need a VPN to unblock Russian services (to unblock VK in Ukraine, for example) -or if you require Russian servers for privacy - you will need to look elsewhere. To be fair on IPVanish, many VPNs have decided to stop providing servers in Russia due to new laws that bring into question the privacy levels that can be promised on servers within the nation. So this is a valid omission. SOCKS5 is a versatile proxy that works with any kind of traffic. IPVanish is one of the few VPNs that provides a SOCKS5 proxy for free when you sign up to the VPN. IPVanish VPN also provides a number of excellent guides for using SOCKS5 (with Deluge or uTorrent, for example). The benefit of a SOCK5 proxy is fast speeds, but do bear in mind that it does not provide encryption like the VPN client. We test IPVanish connection speeds three times a day using a unique server-based scientific speed testing method. For more information on how those speed tests work please read: VPN Speed Testing Done Right. As is always the case, IPVanish is currently performing excellently. It is one of the fastest VPN services available on the market. That is why IPVanish is so good for data-intensive tasks such as streaming in HD, gaming, and torrenting. As you can see in the graph below, in the last few months IPVanish has been sandwiched in amongst some of the best VPNs in the world - which all have above average connection speeds. An average of 34 Mbps (across all 4 servers we test) is truly outstanding and means that IPVanish is excellent for data-intensive tasks. The DNS lookup time can slow down the process of fetching a page from a web server. IPVanish performed very well in this area. The average lookup time is just 0.41 seconds - which makes it one of the fastest VPNs on the market in terms of lookup times! 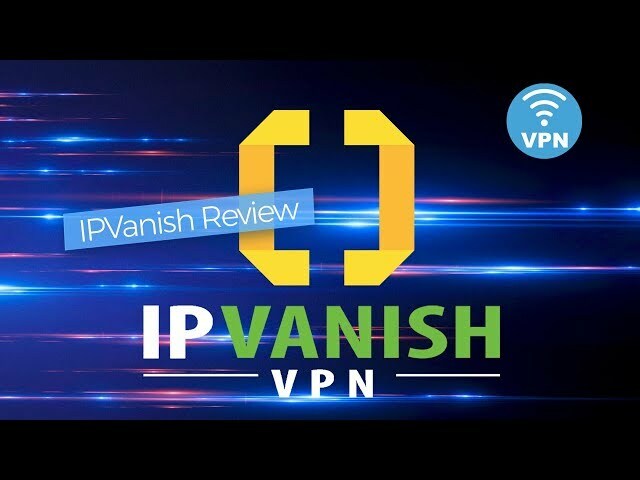 IPVanish's connection times put it in the top rank of VPNs. VPN connection times do not get any better than this! As you can see, IPVanish scores extremely well in these tests and is one of the few VPNs that can claim to be among the fastest in the world. I connected to one of the IPVanish London VPN servers to test for leaks using ipleak.net. I discovered no detectable IP Leaks or DNS leaks. My IP address correctly appeared in London as did the single DNS address. WebRTC leaks performed in Chrome also came back negative on my system. IPVanish only has one service plan, which can be purchased for three different subscription periods. Consumers are rewarded for committing for a longer period of time. Subscribers are given the option to get either a one month, three months, or a yearly subscription. A subscription to IPVanish is recurring. If you do not cancel the VPN at the end of your subscription period - you will automatically be billed the same subscription fee again. All subscribers are given a seven-day money back guarantee to change their mind if they wish. This is even true of the one-month subscription. Consumers can pay for IPVanish in a large number of different ways, which is awesome. Credit cards and PayPal are accepted as are some other virtual options. However, IPVanish does not accept Bitcoin payments (or any other cryptocurrencies). Credit card payments are processed on behalf of IPVanish by the third-party payment handler Chase for most payments. WorldPay is used for some international payment types. Payments are also handled by Paypal and Apple if you purchase using these options. These are reputable payment handlers. What's more, having payments managed by a third party means that payment records and subscription records are kept at arm's length from each other - which theoretically has some advantages. The custom IPVanish apps work well on all of the major operating systems. Android, Windows, MacOS and iOS systems are all catered for. 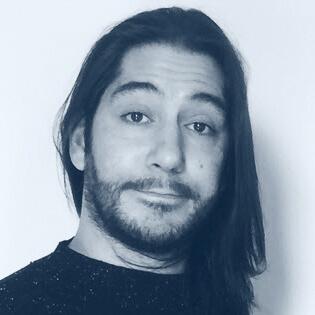 However, macOS computers and iOS versions later than release 10 do not have access to PPTP (which in reality is good news, because PPTP is out of date and insecure). In addition, it is worth noting that the iOS version of IPVanish runs on IKEv2 encryption not OpenVPN. However, anybody wanting to connect via OpenVPN can do so using OpenVPN Connect software because IPVanish provides .ovpn config files in the member's area. I particularly liked the availability of a custom Amazon Fire TV app - this is a really unique feature that is still a rarity in the VPN industry. You can also install the VPN on flashed routers and set-top boxes, and IPVanish has setup guides to help you. Also excellent: IPVanish has added XOR obfuscated servers to its service (for bypassing firewalls and concealing VPN use). And split tunneling has also been added to its clients - so that customers can stay protected and still be able to use Netflix or BBC. The support department of IPVanish used to let down the service a bit. However, this is an area that IPVanish has vastly improved in the last few years. Nowadays, IPVanish provides both members and non-members with a 24/7 live chat service on its website. That means you can ask the VPN's customer care questions at any time of day! This is a really valuable improvement to the service, which highlights that IPVanish is investing heavily in making its service better and better for its subscribers. I tested the live chat a number of times and always got a response right away. 10/10. The site also provides an excellent FAQ page. The FAQ can be searched and has instructions for most problems. This is a great resource, that is useful both as a stand-alone feature and as a place for live chat support to send subscribers to walk them through fixing problems. You can access support categories and useful setup guides, by scrolling down the FAQ page. You may want to look at the Setup Guides once you have subscribed to the service, especially if you intend to make use of IPVanish' native Amazon Fire TV app. Or if you want to set up your VPN for Kodi. It even has setup guides for OpenELEC, which means you can run it with Kodi on a Raspberry Pi if you want. If you can't find a solution to a problem, you can also elect to fill in a contact form to ask the support team a question. This is accessible through a link in the FAQ page, as well as in the site footer. You will get a reply to your query via email. A reply to this email will come pretty quickly because support is now 24/7. Excellent customer service all round. IPVanish has reliable software that is packed with advanced security features. Some of those features are particularly useful on mobile devices - such as the network block feature, which protects you against connections to unsafe open networks with no password requirements (which are sometimes set up in public places by hackers). And which your device could connect to automatically. In addition, it has a killswitch, DNS leak protection, Xor stealth mode (scramble), OpenVPN port selection, auto-connect, and launch at startup. A truly complete suite of VPN features! IPVanish provides three different kinds of VPN protocols: OpenVPN, L2TP, and PPTP. PPTP is an outdated encryption protocol that is no longer considered secure and should never be used for privacy. Out of the three available protocols, we recommend that you stick to OpenVPN. The weakest part of IPVanish' OpenVPN encryption is the HMAC SHA1 handshake. However, this does meet our recommended standards for privacy. Thus, all of the necessary components of the protocol on both the data and control channels are considered secure. Good news indeed. To conclude: IPVanish is great for data security from an encryption standpoint. It even implements Perfect Forward Secrecy (DHE-2048). For a more detailed look at VPN encryption please read our guide here. Being based in the US is enough to put some people off IPVanish. This is because being based in the US is not "ideal" for any company that provides a privacy service. Why? Because the US is the home of the CIA and the NSA - and is also a part of the 5 Eyes surveillance agreement. In the US, firms can be served both warrants and gag orders, which means that they could be asked to hand over data without disclosing it to the public (this is a gag order). This is far from ideal. However, to make up for this fact, IPVanish implements an excellent zero-logs policy. This means that even if it was served a warrant it wouldn't have anything to hand over to the authorities. Despite this seemingly watertight solution, the question surrounding gag orders is still significant. Due to the Snowden revelations, we know just how invasive the US is. This does make it a hard nation to trust with citizen's data. However, it is also true that many other nations also have similar gag/secrecy orders in place - so this is not a unique problem to the US. It is our belief that for most people IPVanish is going to provide more than adequate levels of privacy. Anybody who requires higher levels of privacy would probably be better sticking to Tor (not a VPN). I checked the IPVanish website using Privacy Badger to see how much tracking it is doing. It detected 16 potential trackers, including Google analytics, spreedly, upsellit, hotjar, and doubleclick. This is nothing out of the ordinary and does not really pose any risks to the VPN service itself. However, it is worth noting that there are VPNs out there that have as little as one tracker on their website, so 16 can be considered a high amount. IPVanish is one of the best VPN services around and its prices are extremely reasonable. You get the choice of a massive number of server locations and a lot of advanced security features, such as a kill switch, DNS leak protection, and network blocking (to name a few). IPVanish has produced a superb app, which is easy to use and easy to set up. You don't need any special technical knowledge to use IPVanish VPN. It is a shame that IPVanish has given up fighting to keep Netflix available. However, unless this is a primary care - IPVanish is a superb, lightning fast VPN that is extremely secure. Its service offers outstanding privacy for P2P downloading, internet telephony apps, online gaming, and access to geo-restricted websites all over the world. Well worth a test run using its 7-day money back guarantee! Unlike the commenter above (or below), I think it's pretty good that you're investigating the "no logs kept" issue. For me personally, the kept log is not really a deal breaker in term of choosing the right VPN (although it would be great if they don't keep logs), but the installing process. Many say that setting up IPVanish is a headache for beginners, for example here: [sorry - competitor link removed] and it's honestly a turn-off (100% newbie here). A score of 9.5 for a VPN service that exposes and delivers the user's data? Very generous or pay per review? Disappointed. Hi Cris, This story only broke 3 days ago, and for various reasons we have been working with a skeleton staff this week. I have now published an article explaining the situation and added a disclaimer to the start of this review. As the disclaimer says: IPVanish has got into hot water for handing over logs it claimed not to keep to US Homeland Security in 2016. This situation is complicated by the fact that IPVanish is now run by a different company which disowns the actions of its past management. Given the change of management, we must admit that we are not yet sure how best to respond to this news with regards to recommending IPVanish. Please watch this space. Terrible service and customer service. Two month into the contract they could not provide to watch foreign TV anymore. No notice, no solution, no refund, but the rudest customer service ever . At one point they just stop answering you. Do not even think to subscribe!!! !